Our firm was established by MARION J PADGETT in 1984. We have been located in Richwood since 2000. Marion began working with Price Waterhouse & Co in 1968. After eight years with Price Waterhouse, he moved to the food industry for eight years as the Chief Financial Officer for an international fruit company. These tours assisted Marion in gaining excellent experience to aid him in the establishment of his own firm. 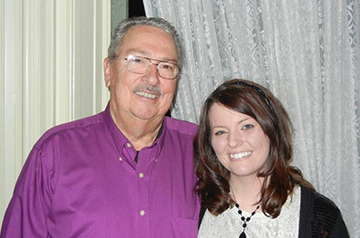 Jessica Mastronardo, his granddaughter joined the firm in 2003. Marion is the managing partner of the firm and has extensive experience in financial and tax planning, business consultation and the general accounting needs of small businesses. He passed the CPA exam in May, 1969. Marion is a member of the Kentucky Society of CPA's. Marion is actively involved in community activities and serves on the Board of several non-profit organizations. Jessica is Marion's granddaughter and partner in the firm. She has been working for Marion since January 2003. She graduated from Northern Kentucky University in December, 2007 with a degree in Accounting and received her CPA license in April, 2009. She is a member of the Kentucky Society of CPA's. Jessica is available to assist clients with bookkeeping, individual and business tax returns, and Quickbooks related inquiries. Laura, Marion's oldest daughter has worked for him for since the summer of 1998. She attained a para-legal degree from Beckfield College. Laura is the firm's Payroll Specialist and is responsible for payroll and payroll tax returns for the majority of our clients and also assists with bookkeeping. 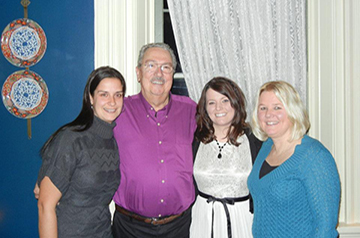 Sarah joined the office in June of 2007 as the firm's Administrative Assistant. In addition to clerical duties, Sarah assists with payroll, payroll taxes and bookkeeping.